Browse Banana Republic for stylish hoodies & sweatshirts. If you're looking for a functional option for everyday wear that still showcases your sartorial savvy style, hoodies and sweatshirt styles from Banana Republic are an outstanding option for increasing the versatility of your wardrobe. This stock includes an array of chic twists on this timeless activewear silhouette, including cape style hoodies, flare sleeve sweatshirts, and popover tops that add an extra layer of warmth and visual appeal to your ensemble. Choose from a great selection of hooded tops made with luxurious materials such as cashmere and french terry for a plush feel that effortlessly elevates some of your most time tested looks. These easy to integrate separates are also finished with functional details such as vented side panels and kangaroo pockets so you can be ready for whatever the day brings. With stylish sweatshirts and hoodies from Banana Republic, you'll never have to choose between your comfort and your personal flair. 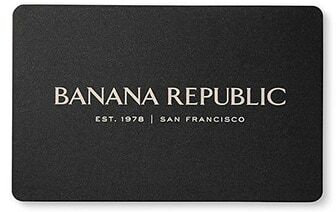 Banana Republic is your premier destination for stylish hoodies women's wardrobes should never be without. These luxe activewear inspired options are a natural choice for casual looks, giving you the warmth and functionality of this classic profile with upgraded visual appeal that offers added flexibility. A pullover design in a neutral tone such as jet black or heather grey is a great platform for a range of looks, pairing with denim or your favorite pair of chinos for laid back style. Complete the combination with a pair of low profile athletic trainers to get all day comfort from this reliable ensemble. Open hoodies can help you showcase your most vibrant graphic tees, and pair easily with colored khakis in shades like olive green and navy blue. Flare sleeve garments in washable cashmere add an unmistakably feminine touch to this timeless silhouette, and can even give you a distinctive and casual option for workplace wear when teamed up with a cute pair of flats. Expand the possibilities of your casual looks with the endlessly comfortable and stylish sweatshirts women's closets need.